There are 2 weeks until we leave for Disneyland and we have 3 runs to finish while we’re there. Each run has a theme and when I found out the 10k was all about Aladdin, I was so excited I could have rubbed my lamp. Can we just stop for a minute and check out the bling that I’ll be bringing back down under. 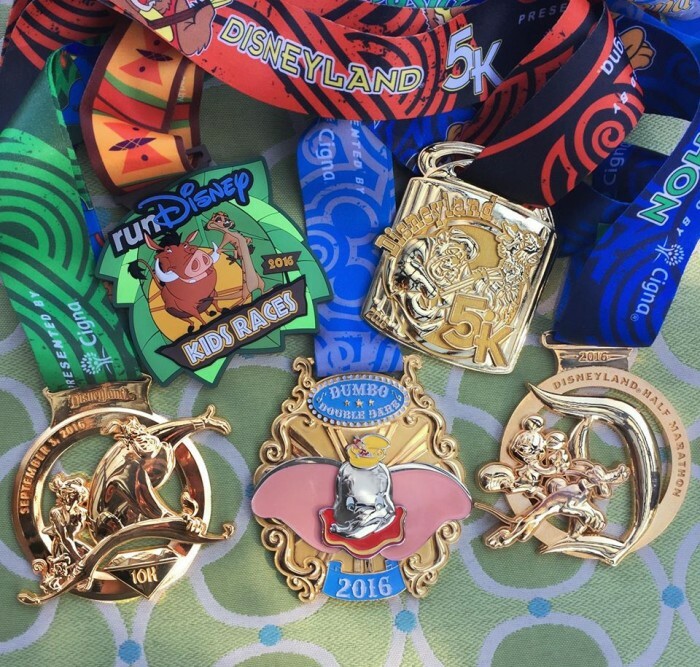 Would you look at that Aladdin medal! 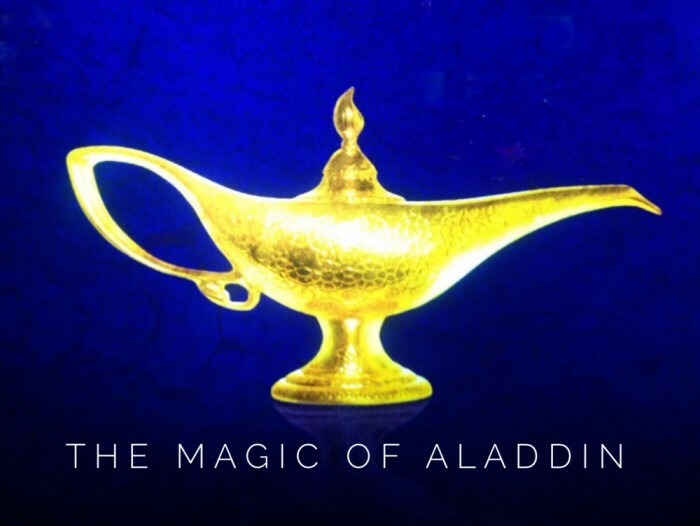 Running around Disneyland is a wish come true as is scoring tickets to the new stage production of Aladdin at the Capitol Theatre… Which means I still have one more wish, right? 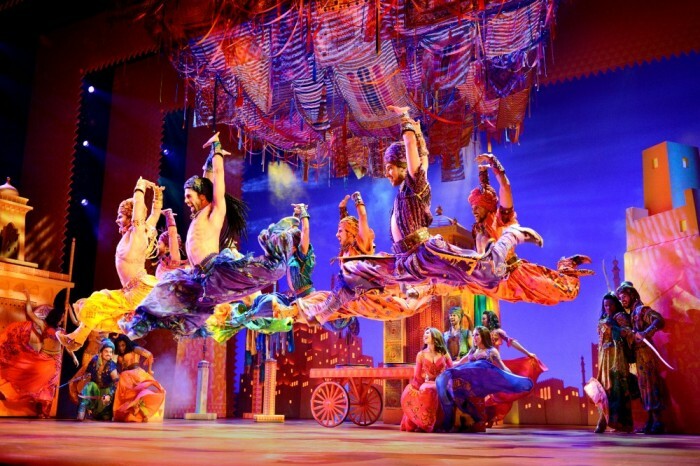 Enough about my wishes, back to Aladdin… Brought to the stage by the directors of the Lion King, Sydney’s newest musical has travelled the world via London’s West End and New York’s Broadway, and heaps of other cities in between. Talking of journeys, when the curtain rises, the audience really is transported to a whole new world; full of colour, sparkle, adventure and romance. Oh, how I love love! The show has been adapted from the 1992 movie with some value added show stopping songs (plus all your old favourites), magical set design, fantastic special effects and a dazzling array of costumes (over 300 of them to be precise) with more sparkle than you can shake a stick at. The tickets were perfectly timed not just because of the pre-race inspiration but because I had a visitor in town, and it was a joy to show her the Sydney stage at it’s finest. Coincidentally, Ria had recently seen Aladdin in London so we were keen to see if twice was still nice. I’m happy to say it was. The Aussie production has it all. Daring adventure – tick! Classic comedy – tick! Timeless Romance – tick! Magic Carpet – Tick! Yes, there’s even a magic carpet! For realz! Ria was sure she’d be able to work out how the magic in the carpet happens the second time around, but alas, that’s going to be one of Disney’s best kept secrets, unless like me, you believe that carpets really can fly. I saw it with my own eyes! 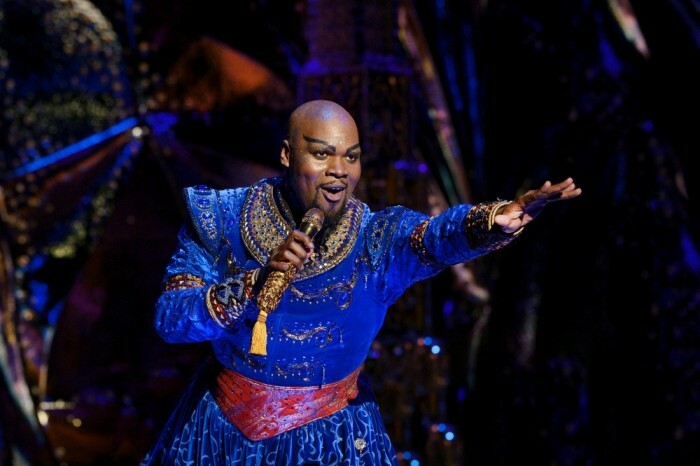 Ainsley Melham gives a cracker of a performance as Aladdin and does a stellar job of being Chief Lamp Rubber, Bromance Co-Ordinator and Princess Woo-er. 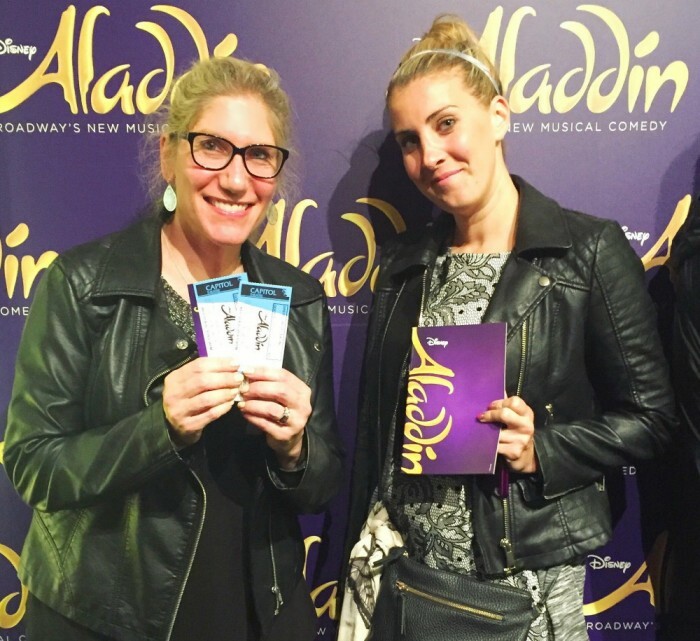 Talking of princesses, the chemistry between Aladdin and Princess Jasmine, played by American, Arielle Jacobs, is pure gold. Michael James Scott is clearly Genie by name and genie by nature. His performance is just magic! He lights up the stage and as do the ensemble, whose gold pants are encrusted with over 1400 Swarovski crystals! Bling, bling! The cast are as fabulous off stage as they are on. I got my snaps with the stars and my programme signed. And yes, I was excited as I looked. 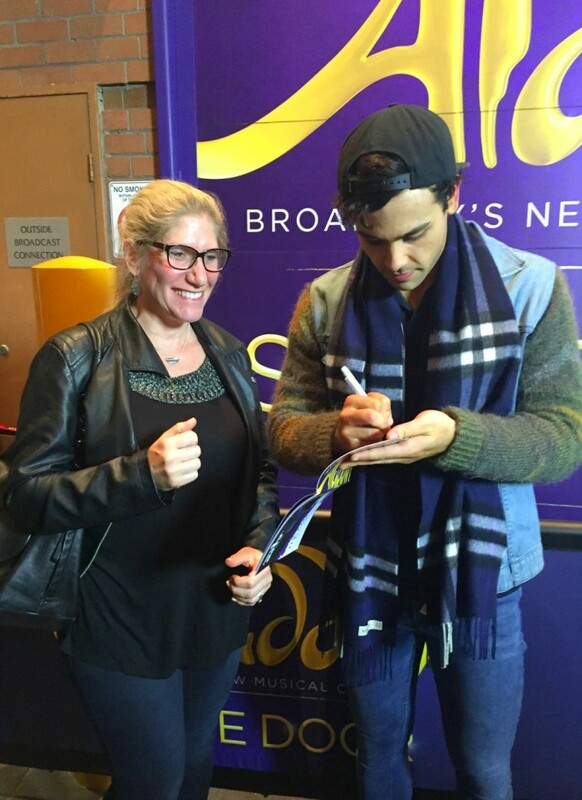 I can’t remember the last time I got an autograph! 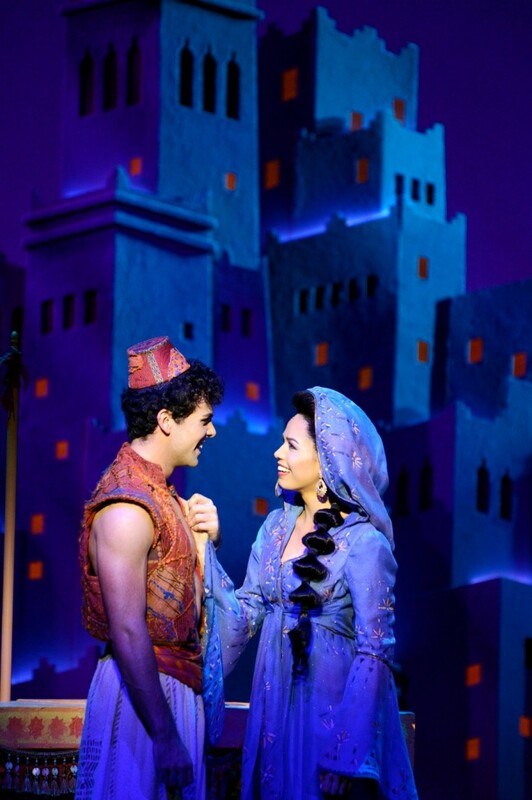 Aladdin really is all your theatre wishes come true and the show delivers everything you’re wishing for… and then a little bit more. 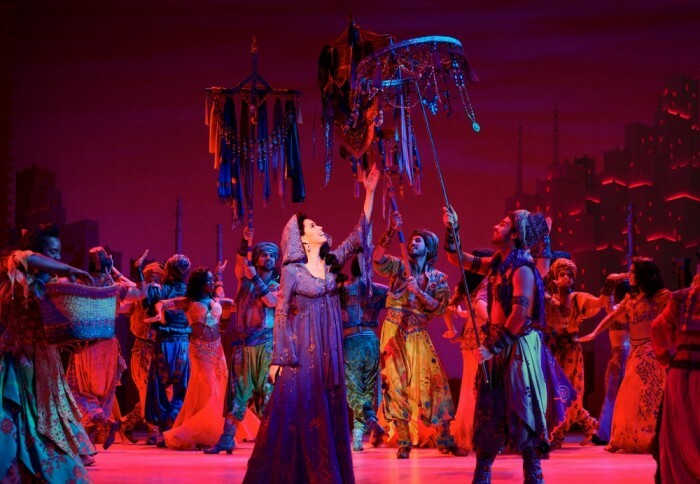 I know it all started with one thousand and one nights, but Disney’s Aladdin is one night of pure delight. 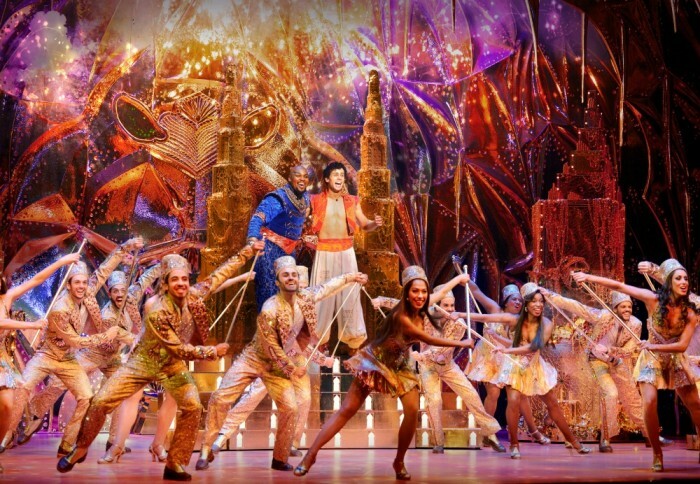 Aladdin is now showing at the Capitol Theatre, Sydney. Tickets are on sale now! What’s your favourite Disney movie? 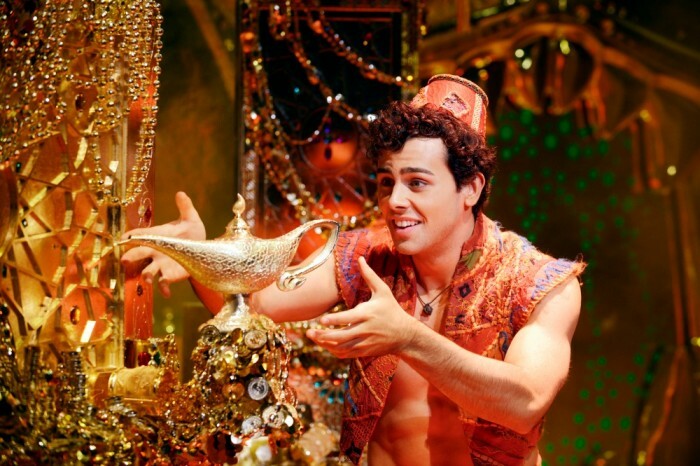 If you had three wishes, what would you wish for? Bridges PR kindly gifted me the tickets but all opinions and bad puns are my own. Show images by Deen van Meer.